French carmaker Renault and component suppliers will invest 10 billion Moroccan dirhams ($1.04 billion) in Morocco to build an "industry ecosystem", the country's industry minister said on Friday. 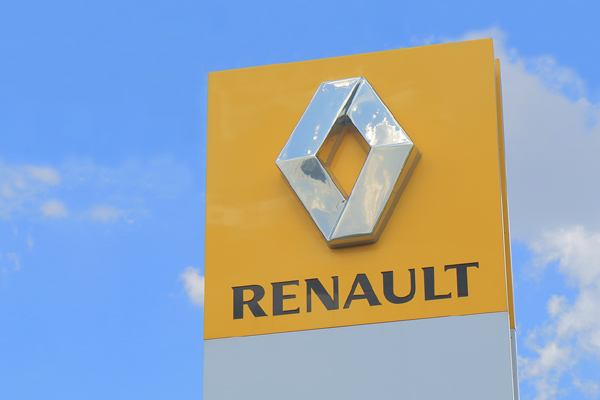 Renault's ecosystem and its new plants will raise Renault's local sourcing of components to 65 per cent from 32 per cent and are projected to generate 20 billion Moroccan dirhams ($2.08 billion) in revenues, Moulay Hafid Elalamy told Reuters. Renault already has two car plants in the kingdom. It has a modern plant in Tangier producing cars and body pressings for export and another older assembly plant in Casablanca. "Renault ecosystem means that around Renault plants in Tangier and Casablanca, many other companies are coming to invest and make the parts that will shape a Renault car," the minister said, though he declined to say to give an exact figure on Renault's investment in the project. The director of the company's Africa, Middle East and India region, Bernard Cambier, also declined to give details but said that at least 15 component makers are committed to invest in the project. Cambio and Elalamy signed the deal inside the royal palace in Rabat. Renault's Tangier car factory, the biggest in North Africa, required initial investment of 600 million euros ($683.70 million) and is expected to reach an annual production capacity of 400,000 vehicles in the coming years. Morocco expects auto industry exports to reach 100 billion Moroccan dirhams ($10.39 billion) a year by 2020 as a result of PSA Peugeot Citroen's decision last year to build a 557 million euro factory in the country, slated to produce 200,000 vehicles a year. The kingdom has attracted a number of big auto and aerospace investors in recent years, including Delphi, Bombardier and Eaton Corp.